Why do the writers of Lost associate the character Kate so closely with Patsy Cline's music? I'm very fond of Patsy and not so fond of Kate, and I don't see Kate as a Patsy-like, ill-fated, good-souled genius. Despite all that, why do I like her with Sawyer? Is it possible I just like Sawyer SO much that any scene with him in it is good? How can Aunt Zelda, who we love, be so hateful as Kate's mom? Could we be more tired of John Locke? And could we be more immediately fond of Daniel Faraday? And, really, this is not a question, but since we said these would be questions, could there be two people prettier than Jin and Sun? Sawyer is a good bad guy; Jack is a bad good guy. What's your type? Why did they even bother to shoot an episode with neither Sayid nor Desmond? If you don't watch, is it possible you're still reading? me a headache." I fear this is only going to get worse, but I think anyone who knows me can predict, I will keep watching. Next postFriday Five: What’s in a Name? I don’t watch, and yet I read the whole thing. I can’t explain it, but I appreciate your writing. I don’t watch either. I saw a few episodes in the first season because my daughters watched it. It sounds like there are a lot more characters now? And what is the first of the British Empiricists doing on a tv show? Is Daniel Faraday Michael’s brother? (You can probably tell I do like time travel — but only into the past). In answer to your second to the last bullet, yes –and laughing! Lost track and interest with Lost two seasons ago. But, THANK YOU for your comment. I don’t watch it, so maybe I have this wrong. But I believe I married a slightly bad good guy and dated a lot of good bad guys. I never really thought of Jack as a bad good guy. Hmmm. I’ll have to share that with Ray. We are both “Lost” fans. Christianity Today actually has a Bible study/discussion guide using “Lost.” Does that make you feel any better? I recently began watching for the first time from Season 1. I allow myself one episode a day on my laptop while I do 2.5 miles on the ‘dreadmill’. I can’t say I’m hooked, like I was with both “Big Love” and “Six Feet Under”, but I am definitely intrigued, and it does get me on the blasted thing every day! 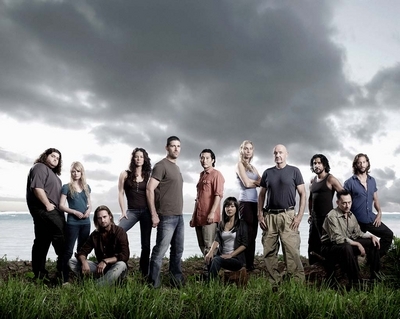 I am an obsessive Lost fan as well. Tired of John Locke myself. And without Sayid or Desmond it’s just not right. (I want Penelope’s part in this show!) Sawyer’s best scenes are without his shirt. Jack’s become annoying. As has Kate. Claire’s just gotten much more interesting. Always liked Juliet, even when she was “bad”. And Daniel Faraday just doesn’t work for me. Cannot wait till it starts up again. Even if that is far in the future. Oh – The Princess just needs Sawyer to give her a proper nickname! I don’t like the bad good guy Jack much anymore, and I like the good bad guy Sawyer much more than I used to. There’s so much space between “seasons” now that I lose track of the story line. By the time I get myself caught up, the “season” is over again.